I’m trying something new this Thanksgiving. I’m doing my sweet potatoes in the crock pot. I know it’s probably not the best day to try out something new but I’m doing it anyway! I love sweet potatoes. Normally I make a canned yam casserole with pineapple and marshmallows for Thanksgiving but my new recipe calls for real sweet potatoes and I couldn’t be happier. So what is the difference between yams and sweet potatoes? Truth be told, they’re both sweet potatoes but according the Ree Drummond of TV’s “Pioneer Women” fame, if you’re living in the U.S. you’ve probably never seen a true yam. Wait, what? The cans I see on grocery store shelves clearly say they are yams. Not so fast my friends. Real yams are actually tubers of tropical plants and are related to native grasses and lilies found in Africa, South America, and the Pacific. They come in various sizes, some as big as 100 pounds, but don’t pack the healthy beta carotene punch that American ones do. So, what gives? Why are those bright orange canned goods called yams? Drummond writes that when orange sweet potatoes were introduced to the U.S. in the 1930s, shippers labeled them “yams,” which is the English form of the African word “nyami.” And although they are an American Thanksgiving staple today, they really weren’t a part of the annual November holiday until the 1800s. What’s not to love, right? And, you can love them in more than just casseroles, baked, or mashed. 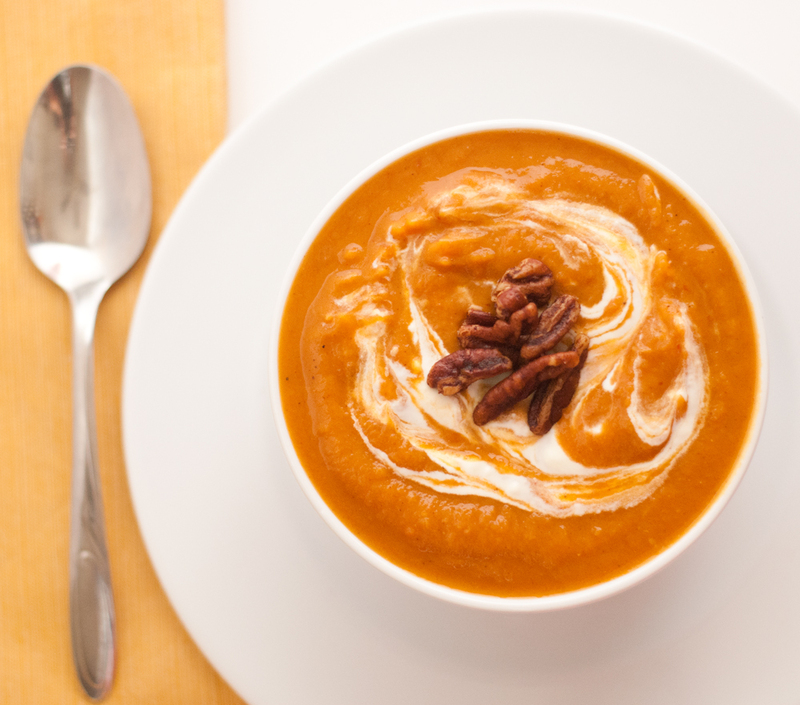 Sweet potato soup is to die for, and don’t forget those two southern staples: candied yams and sweet potato pie. One more thing before I share my recipe: when you buy sweet potatoes, look for smooth skins and firm bodies and store them in a cool, dry place. If they come in a bag, take the out of it and never put them in the refrigerator. The longer you store them after harvest, the sweeter they will be. Enjoy! *I will also be adding cubed pineapple and mini marshmallows to the topping and will not include pecans as the recipe called for. 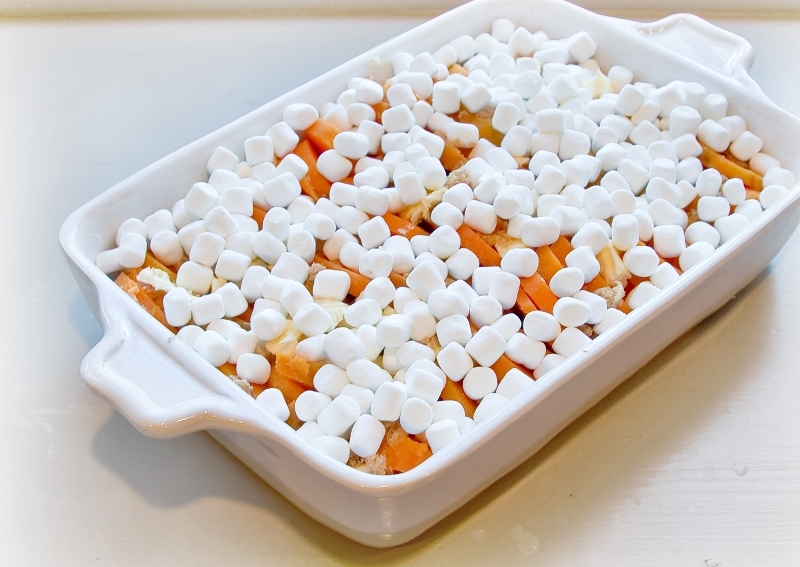 Peel sweet potatoes and cut into 1-2 inch cubes. Place them in crock pot. Add chicken broth and cubed butter. Cook on high for 3 hours or until potatoes are soft enough to mash. Mash potatoes and add eggs, brown sugar, and vanilla. Add to crock pot. In separate bowl combine topping ingredients and sprinkle over potatoes. Cook on high. ****Fertility drug as well! Years ago National geographic (at the time I was a subscriber) ran a story on how many multiple births in certain geographic regions as South Africa and attributed this correlation with the “root” veggie as YAMS! Very interesting as Americans resort to “fertility drugs”!!! !